Gourmet Herbs is one of the Brooklyn Botanic Garden’s 21st- Century Gardening Series. 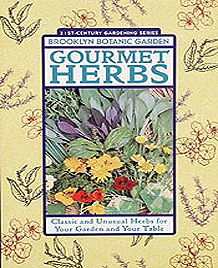 This collaboration of herb writers contains Classic and Unusual Herbs for Your Garden and Your Table. 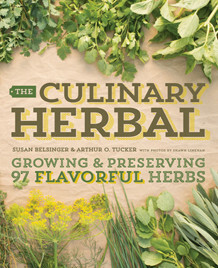 Susan Belsinger and Kathleen Fisher co-authored the extensive Encyclopedia of Gourmet Herbs, and Susan wrote the chapter on preserving herbs, The Taste of Summer Year-Round. 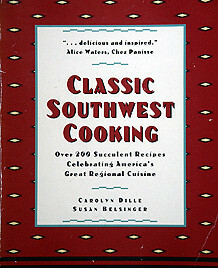 This book has much to offer with Holly Shimizu’s chapter on Starting Herbs from Seed and Madalene Hill and Gwen Barclay’s instructions for Designing an Herb Garden, and more. Beth Hanson, Editor, Brooklyn Botanic Gardens, 2001.